Running against the wind, Kenta Murayama (Komazawa Univ.) at the 2013 Hakone Ekiden. Japan is sending two strong squads to the Mar. 29 World Half Marathon Championships in Copenhagen, Denmark, both led by their youngest member and each with a good chance of going home with hardware. There's a lot of buzz domestically about the young and talented men's team, four of its five members between 21 and 23 years old, three of them university runners and three students at or graduates of three-time defending National University Ekiden champion Komazawa University. Much of the buzz is focused on Komazawa third-year Kenta Murayama, freshly 21 and on a rapid rise to the very top of the Japanese distance world. Last year at age 19 he cracked the all-time Japanese half marathon top ten with a 1:01:19 in Marugame, following up a month later in 1:02:02 for 10th at the NYC Half Marathon. This year, just before his 21st birthday, Murayama made all-time Japanese #3 when he ran 1:00:50 in Marugame, on pace for the 1:00:25 national record in a fearless one-on-one with Martin Mathathi (Kenya/Suzuki Hamamatsu AC) until near the end but still earning a place as the best-ever Japanese collegiate. Since then he has tweaked his training to improve his stamina over the final 5 km, and there's no doubt that he is in Copenhagen to get that record. His coaches and teammates tell JRN he is in outstanding shape and that everything is looking good. The next two Japanese men on the team are two young corporate runners, Masato Kikuchi (Team Konica Minolta) and Sota Hoshi (Team Fujitsu). Kikuchi ran against Murayama in Marugame but couldn't handle the pace, slowing to 1:01:50 to finish as the third Japanese man and likely outside contention for the Copenhagen team. Two weeks later he was back to try again at the National Corporate Half Marathon where he ran head-to-head with 2013 national 5000 m champion Hoshi. Kikuchi got there first in 1:01:17, Hoshi a step behind in a best of 1:01:18 but both getting tapped for the national team. Whether Kikuchi is ready to go after two fast half marathons so close together remains to be seen, but Hoshi, a Komazawa graduate who was all but forgotten by fans after a few years of injury problems, has been following a steady progression over the last two years and should be ready to step up. 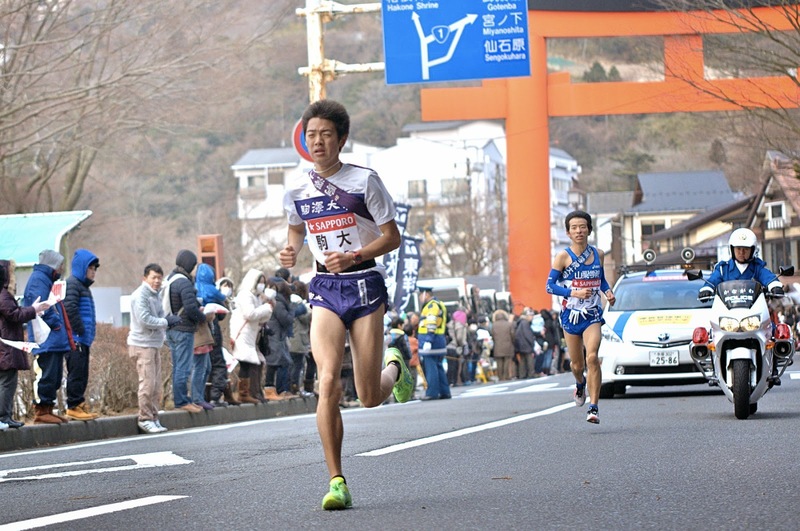 Hiroto Inoue (Yamanashi Gakuin University) ran with Murayama and Kikuchi in Marugame just after his 21st birthday, and to the surprise of most he outran Kikuchi to take the second Japanese position and a place on the Copenhagen team in 1:01:39, the best-ever by a Japanese 21-year-old. 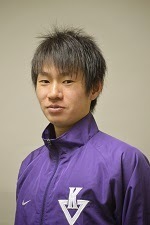 The other collegiate man on the team, Shogo Nakamura (Komazawa University), also 21 looks like an anomaly on paper with a best of only 1:02:41, but he has a solid pedigree to justify his inclusion. Nakamura's PB came when he won the 2013 National University Men's Half Marathon, going from there to win bronze in the half marathon at last year's World University Games. At Hakone in January he ran 1:01:36 for the 21.4 km First Stage, equivalent to 1:00:44 for a half marathon, then a few weeks later split 58:52 for 20 km en route to his 30 km debut in Kumamoto, a 1:02:06 half marathon split inside a 30 km. Between him, Inoue and Murayama, Inoue's 21-year-old record is bound to fall. Japan has often sent good teams overseas who have utterly failed to perform, but this young team, the first wave of the generation that will be at its peak for the 2020 Tokyo Olympics, seems different from past ones, not content just to be there or just to get "experience." The Kenyan and Eritrean teams are far ahead, but on paper Japan is a solid contender against Ethiopia for bronze, with competition just behind them from France, South Africa, the U.S.A. and Italy. If they run to potential it could mean Japanese men's first team medal at the World Half since 2005. Japan's two best female half marathoners, 2013 and 2014 National Corporate Half Marathon champions Yukiko Akaba (Team Hokuren) and Tomomi Tanaka (Team Daiichi Seimei) passed on the World Half, meaning that like the men, the Japanese women's team is led by its youngest member, 19-year-old Reia Iwade (Team Noritz). One of the many Japanese women who go straight from high school to the corporate leagues, the little-known Iwade ran 1:09:45 for 4th behind Akaba at December's Sanyo Women's Half Marathon. The only sub-70 woman on the team but also its least-experienced, Iwade is a wild card who could go either way. Close behind her are former university stars Sayo Nomura (Team Daiichi Seimei) and Risa Takenaka (Team Shiseido). Nomura, the 2009 World University Games half marathon silver medalist, took 5th behind Iwade in Sanyo before going on to make her marathon debut at January's Osaka International Women's Marathon. With no major results since then it's hard to gauge her fitness, but with a history of experience and stable performances she should be viewed as a reliable scorer for the team. 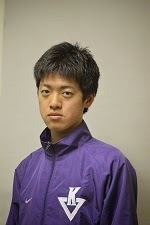 Takenaka was a big name at ekiden powerhouse Ritsumeikan University before graduating and going on to the Shiseido corporate team. She has struggled to make the transition to the corporate circuit, but in February she made a superb half marathon debut, battling Tanaka for the National Corporate title before fading to 2nd in 1:10:10. Just behind her at the National Corporate Half and likewise just behind Nomura in Sanyo was Chieko Kido (Canon AC Kyushu), another little-known runner who made the jump from high school to the corporate leagues. Although Sanyo was faster she earned her place in Copenhagen at the Corporate Half where she took 3rd behind the absent Tanaka and Takenaka. 4th in a photo-finish and clocking the same time, 1:10:45, was the final member of the women's team, Rina Yamazaki (Team Panasonic). Yamazaki's biggest success to date came at the 2005 World Youth Championships, where she took 4th in the 3000 m. A team medal would be a quality addition to her resume. Needless to say, Kenya is the heavy favorite for the top medal position, but the Japanese women look to have a pretty good race on their hands against Italy for silver, with an inexperienced Ethiopian team also in the mix to get into the top three.